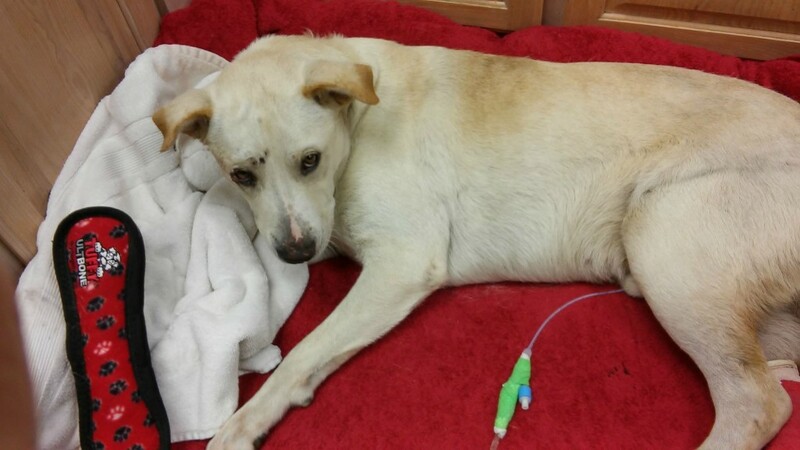 This is Labby, a rescue found after a car accident by a local Houstonian, Caleb Bentley. 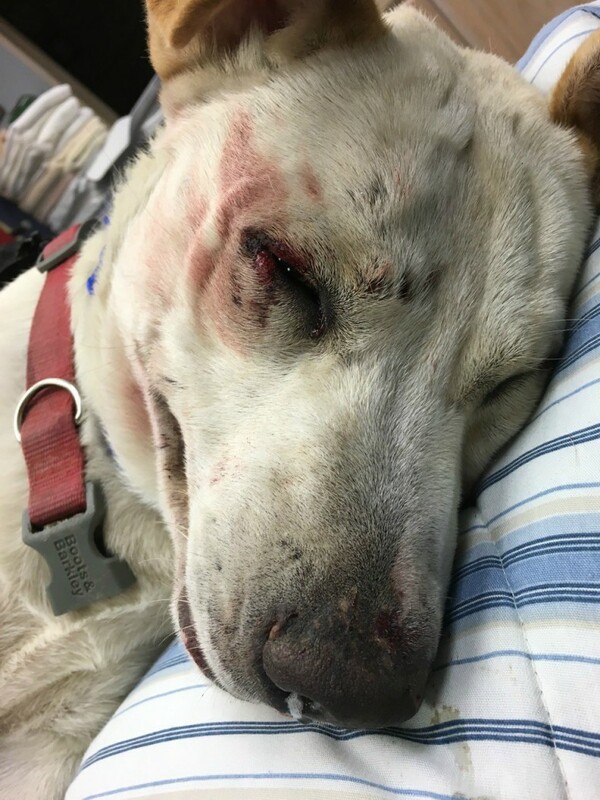 When he found Labby the Lab laying on the side of the road, at Ella and Kuykendahl, he had significant injuries but was still breathing. 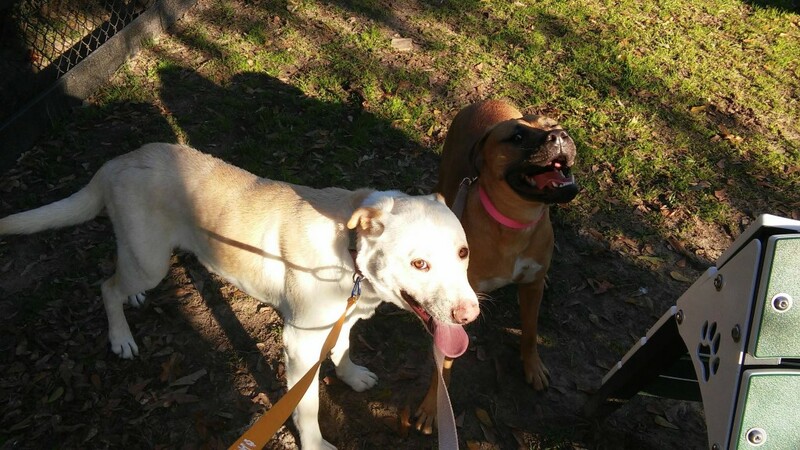 Caleb leapt into action and brought Labby to an emergency vet clinic. 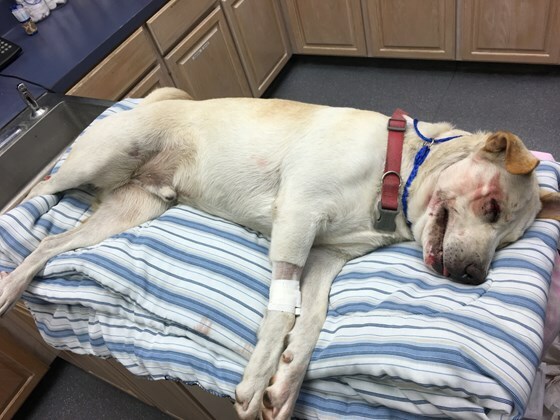 The doctors discovered that Labby needed surgery to repair a fractured femur, SI-Luxation (injured pelvis), a torn paw pad, and was also neutered while in surgery. To help fund the expensive surgeries, Mr. Bentley started a YouCaring page, a funding site to gather donations from the public. 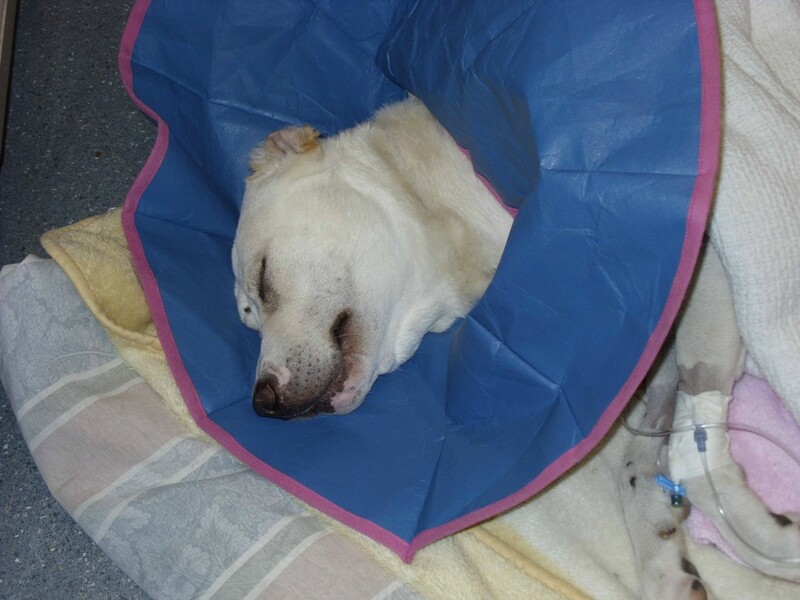 All these activities took place in November, 2015, and Labby is now recovering from the incidents. Luckily, he is doing well, and did not require long term medication. 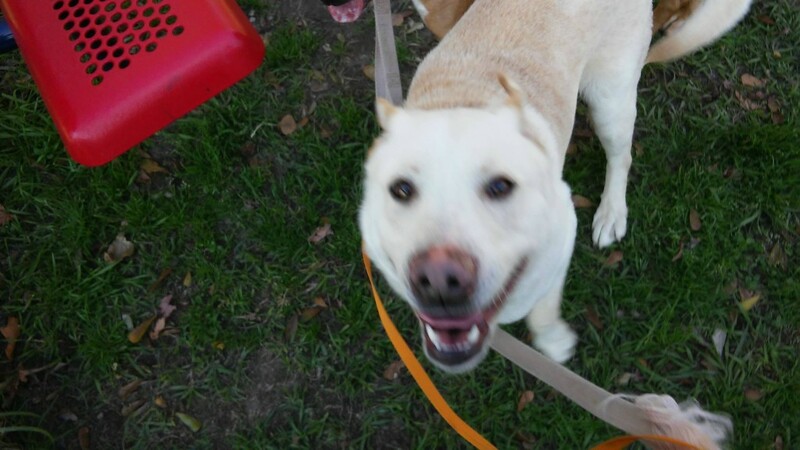 According to his caretaker, the happy lab is ready for a new home now that he is almost fully recovered. He is around two years old, and very sociable. 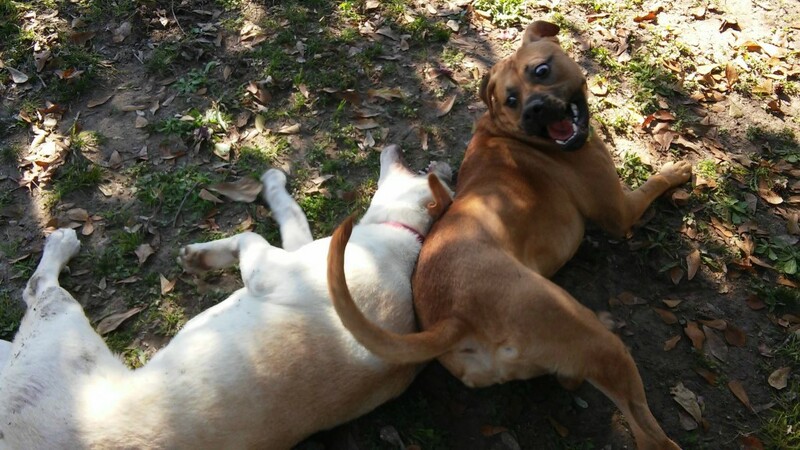 He does well with Mr. Bentley’s female Boxer-mix, though he is prone to being protective during meal time. The scarring from surgery is nearly gone, as fur grows back into it’s natural spacing. Labby’s limp is barely noticeable to the untrained eye. 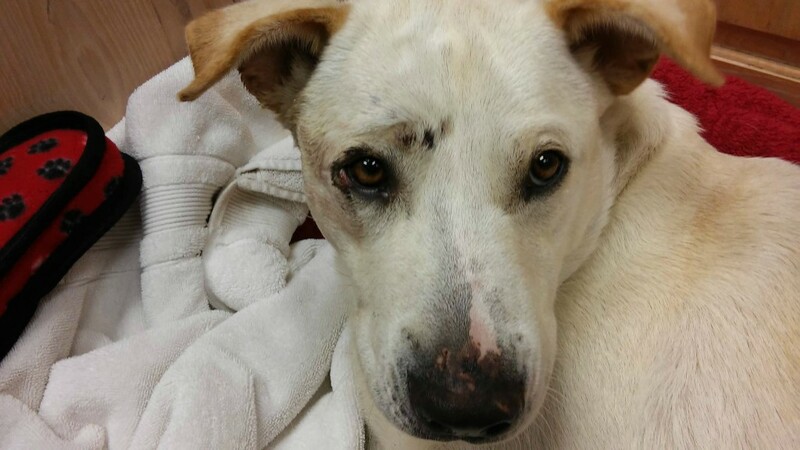 If you are interested in helping out with Labby’s vet bills, or would like more information about adopting him, contact Caleb Bently via email. 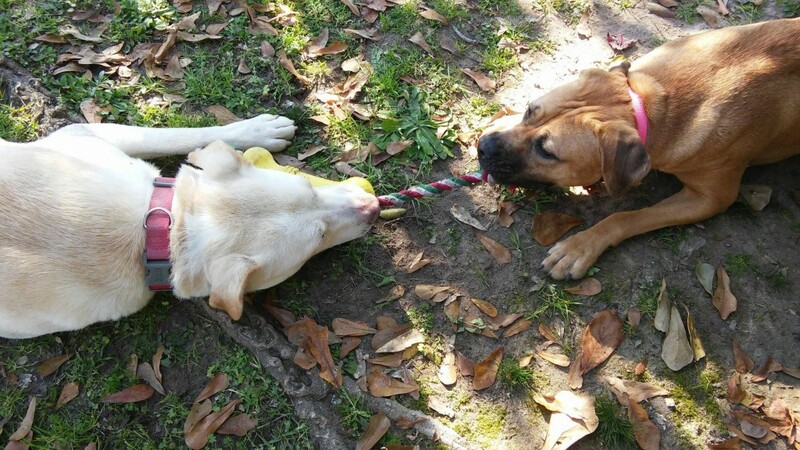 You can see more pictures of Labby here.